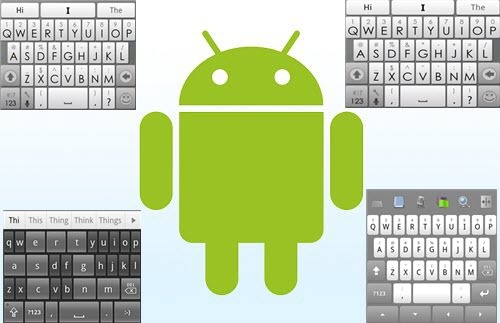 I have used many, many keyboards over the years i have been with android. Some of them are really good and some of them are just meh... Some them are so bad that they should be kicked off of the android platform. In this article we will List my Favorites. Swype is the keyboard that started the whole draw to input text, and it is still the best at it. I used to use this keyboard all the time but i guess I kind of grew out of it. I never really cared to much about using the keyboard in the traditional way so i guess that is why it didn't stick with me. SwiftKey is an awesome fully customizable that many features. It has a really good auto correct system that isn't as intrusive as Fleksy. My main gripe with this one is that its is gonna run you 4 bucks for the full version and that it doesn't transfer to well to tablets. This is the stock android keyboard. It works well on all devices, and it has features like Draw, voice input etc. its not really customizable it works really well all around. This is overall my favorite keyboard for android. It is customizable and it just feels right. Highly recommend this keyboard to anyone who wants to step up from the stock android keyboard. which keyboard is the one on the bottom left of your image? I cannot find it!